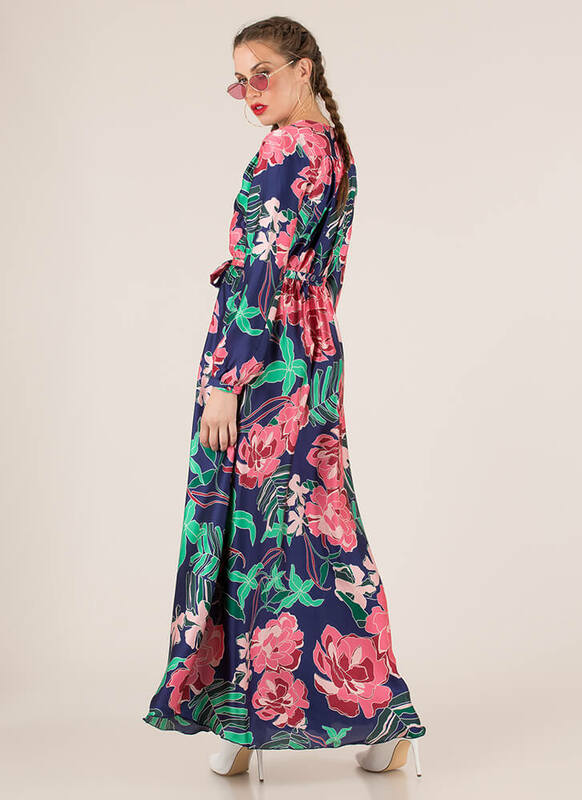 You'll look like an absolute dream in this dress. 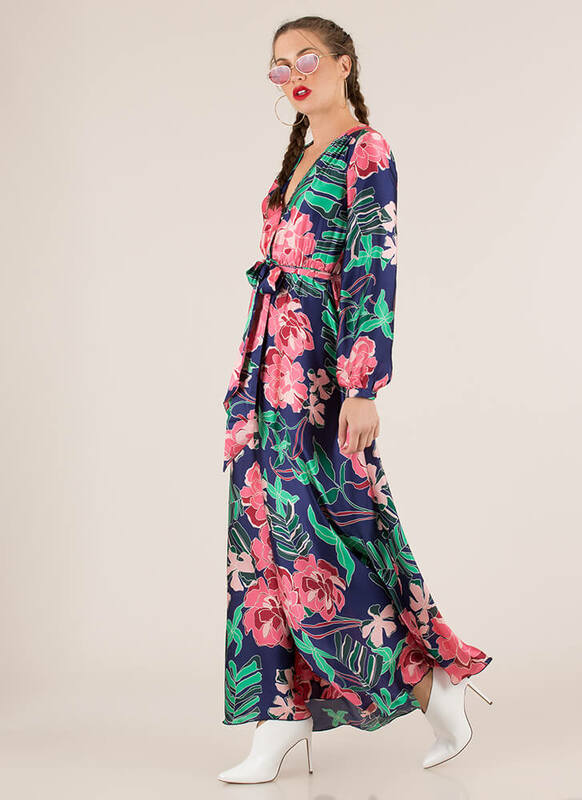 Lightweight, non-stretchy, flowy maxi dress features an allover tropical floral print, a fit-and-flare silhouette, a deep-V surplice neckline with a hidden snap button closure, puffy long sleeves with tapered wrists, and a matching self-tie waist sash for a belted look. Pattern placement may vary.